Take the Side Street: Lawn Care 101 with Pennington Smart Seed + a Giveaway! 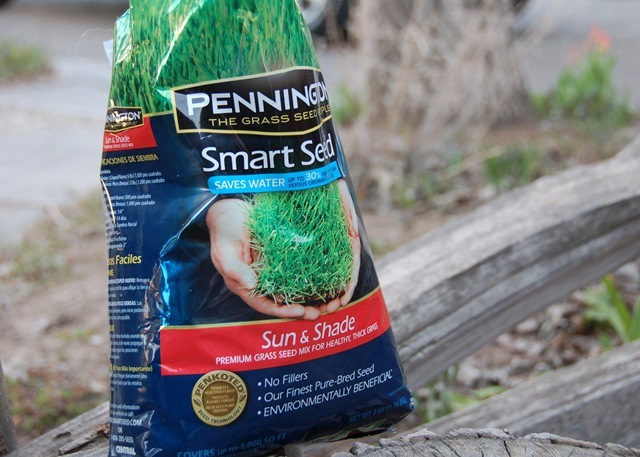 Lawn Care 101 with Pennington Smart Seed + a Giveaway! Great lawns are something to admire, and they can really increase a home's curb appeal by making it look well cared for. I love to play around with the interior of my home, but it's important not to forget about the outside. Enter Pennington Seed, the #1 selling seed in the industry. We had a great lawn when we lived in Utah, but our sweet little Idaho house has a shadier lawn and it's always looked a little sad. The good news is a nice lawn can be closer than you think, and it doesn't require a complicated maintenance plan worthy of a golf course! First, choose a great seed. Pennington offers several different varieties and mixes so you can pick the right seed for your lawn; we picked up a mix called "Sun & Shade" for our tree-filled yard. I was also impressed to read how much work has gone into developing Pennington's Smart Seed: there are no fillers, and the seed has been formulated to germinate faster, grow deeper and denser root systems, and use up to 30% less water each year. So why would using a drought tolerant seed be important? In a nutshell it comes down to time, money, and the environment! First, less water needed means less time spent watering, and since Americans spend an average of 73 hours a year on their lawn (most of it with a sprinkler!) this translates to a nice time saver for you. Second, depending on where you live, homeowners use 30-70% of their total water outside; and in most places water isn't cheap! Third, we are getting hotter: 2012 was the hottest year on record and 2/3 of the country went through some sort of drought. Saving water has never been more important! Next, prep your lawn & sow the seed. We decided to overseed our healthy grass to help eliminate thin or bare patches resulting from heavy traffic in certain areas, plus a couple kids and a large dog. We do fertilize (which helps) but we've noticed that it doesn't fix the patchiness completely so we decided overseeding was a good idea to help thicken our lawn. Pennington recommends conducting a soil test to make sure your lawn is healthy and is getting all the nutrients it needs. If needed, go ahead and fertilize or add soil amendments at this point. Mow your existing lawn, remove clippings & rake the area lightly to help the new seed make good contact with the soil so it will grow. Sprinkle the seed (we used a spreader we already had) and gently rake to cover it lightly with soil. Keep your lawn moist to encourage the seed to germinate and start growing. After it's established you can start watering only as needed and enjoy your thicker lawn! 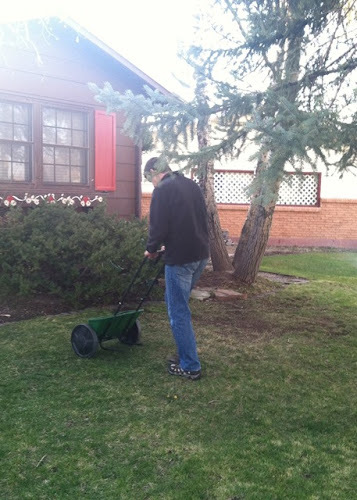 I'm really excited to have a thicker, healthier lawn! Giveaway Time! not only is a nice lawn just a couple steps away, Pennington has been gracious enough to offer one of you a $50 American Express gift card so you can get a jump start! The giveaway is now closed. Mandatory Entry: Comment on this post with your favorite lawn and garden tip! Bonus Entry: Follow Take the Side Street on Facebook and tell me you did so in a separate comment on this post. Bonus Entry: Follow Pennington Seed on Facebook and tell me you did so in a separate comment on this post. Giveaway Terms: Giveaway is limited to US residents 18 years old and above. Winner will be chosen using random.org and will be contacted via email and given 48 hours to reply to confirm win. By entering you give me permission to release your contact info to the giveaway sponsor for prize shipment purposes; Take the Side Street is not responsible for prize fulfillment. Please allow up to 8 weeks for delivery. Giveaway is not affiliated with Facebook or Twitter. Void where prohibited by law. All entries will be verified. Disclosure: This post and giveaway are sponsored by Pennington Seed, and I received compensation for my involvement. I was not told what to purchase and all opinions and experiences are mine. 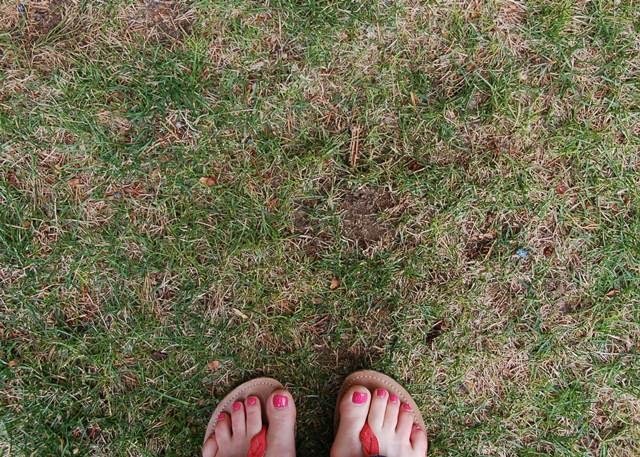 Water your lawn in the morning, and water often after you've put down new grass seed. my favorite garden tip is to mix in compost with the dirt and /or soil. My veggies turned out great last year. I guess it helps, sure didnt hurt! Deadheading flowers often keeps them blooming more fully! Following Pennington Seed on Facebook now. Buy a compost bin and use in your gardens for healthier plants! I follow Pennington Seed on FB too! Hoping to get some good grass growing tips for my new house in my feed! Start small and grow weed-less. My tip would be START EARLY! It's a mistake we've made too many times. i use lawn clippings in the garden to hold down weeds! Water the lawn in early morning or late evening. My lawn desperately needs some lush grass. I've heard to aerate before you seed. I'm a novice, but I've learned that working hard in the fall pays out in the spring. Keep up with the weeding and watering. water every evening or morning! Lawn tip: water late at night or early morning hours to conserve on water and to prevent the lawn from burning during daytime watering. My favorite tip is to be realistic when shopping for plants. Don't buy plants with maintenance requirements that exceed the care you will be able or willing to give them. I am a lazy gardener and succulents are perfect plants for me. Following Take the Side Street on Facebook (Wendy T). Following Pennington Seed on Facebook. I was just thinking that we should try overseeding the lawn this year! :-) I hope it works! I weed my garden weekly while i am playing with the dog outside. It only takes about 5 min amd I never have to worry about the weeds taking over. I like Take The Side Street on facebook. I like Pennington Seeds on facebook.